Nicolas Cage has agreed to return a rare dinosaur skull to the Mongolian government. The Oscar-winning actor bought the Tyrannosaurus bataar skull in 2007, unaware it had been stolen. Authorities said he voluntarily agreed to hand over the skull after learning of the circumstances. The Con Air star bought the skull for $276,000 (£185,000) from a Beverley Hills gallery that issued him with a certificate of authenticity. According to reports at the time, he outbid Leonardo DiCaprio for the skull. The actor and gallery are not accused of any wrong doing. 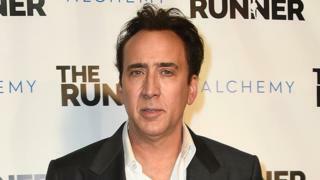 Alex Schack, a publicist for Cage, said the actor was contacted in 2014 by the Department of Homeland Security who told him the skull might have been stolen. When investigators determined the skull had been taken illegally from Mongolia, he agreed to give it back. The skull will be returned to the US authorities and then repatriated to Mongolia. The US attorney in Manhattan, Preet Bharara, filed a civil forfeiture complaint to take possession of the Tyrannosaurus bataar skull last week. Since 2012, Bharara's office has recovered more than a dozen Mongolian fossils, including three full Tyrannosaurus bataar skeletons. In 2014 US fossils dealer Eric Prokopi was jailed for three months for smuggling dinosaur bones from Mongolia, including those of a Tyrannosaurus bataar. Prosecutors in New York described him as "one-man black market in prehistoric fossils". It is not clear if Cage's dinosaur skull is connected to Prokopi. The Tyrannosaurus bataar was related to the Tyrannosaurus rex and lived approximately 70 million years ago. Its remains have only been discovered in Mongolia. Mongolia criminalised the export of dinosaur fossils in 1924.